A revolution is something extraordinary and unexpected: it’s a game changer, it reverses the order of things, and despite what they teach us in school, soft revolutions—those which take place inside us—are the ones that trigger the most long-lasting transformations. 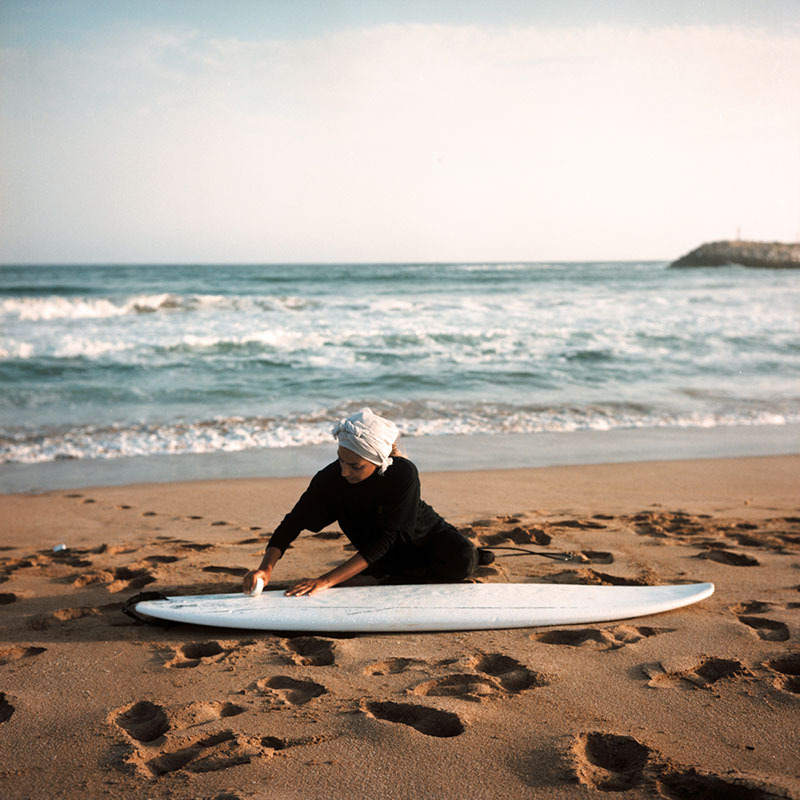 With a stunning photographic reportage, Surfing Iran, the photographer Giulia Frigieri visually recounts the revolutionary movement of the Hijabi surfers in Balochistan, Iran. Graduated in Anthropology and Media and with an MA in Visual Storytelling, Frigieri fell in love with Iran when she first visited the country in 2014. 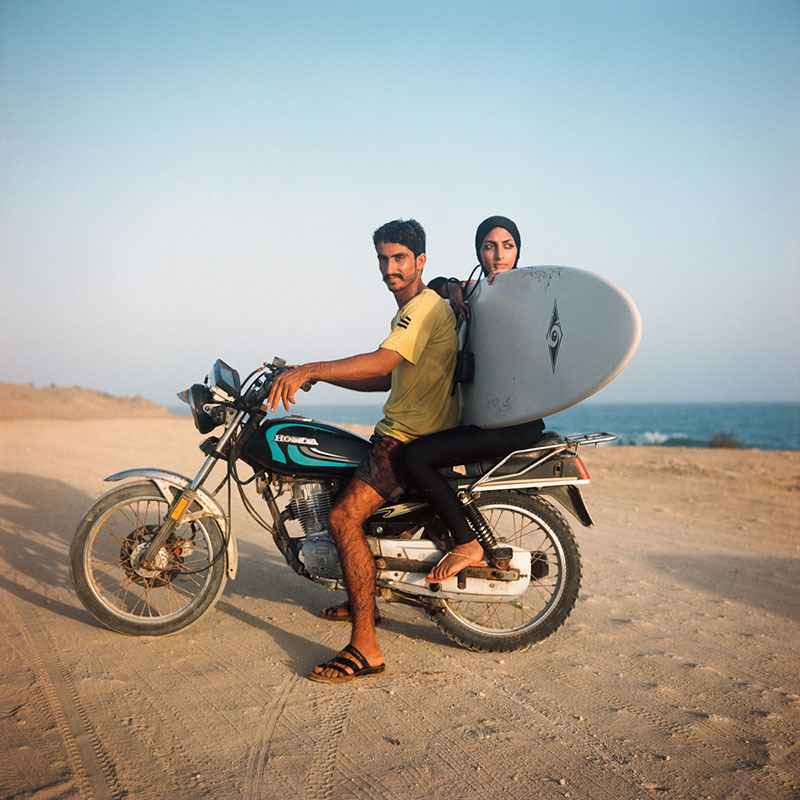 On that occasion, a friend told her about the surfers’ scene and her fascination for this movement began: she wanted to be able to see it with her own eyes and—above all—to be able to show through images how wrong and reductive the imagine of Iran which the media depict is. 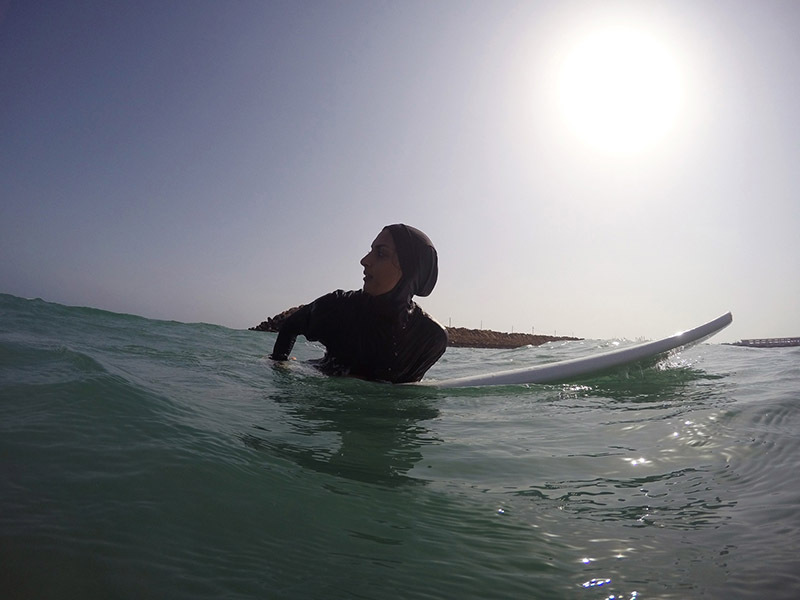 Three years later, Surfing Iran stars the first Iranian woman to have surfed in Iran, the surfer leader of the Ramin surfers’ movement, Shahla Yasini. 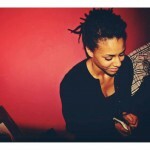 GRIOT: How did you meet Shahla Yasini? Giulia Frigieri: Everything happened very quickly. In the summer of 2017 I managed to get in touch with Easkey Britton, the Irish surfer who started the movement. It was thanks to her that I got in touch with Shahla Yasini and some of the leading figures in surf in Ramin. A couple of emails with Shahla were enough to ask if she wanted to participate in my project and a strong bond was born immediately. A few weeks later I was in Iran to take advantage of the last waves of the summer and to do a reportage with her as the main protagonist. Shahla has always had a strong relationship with the sea. 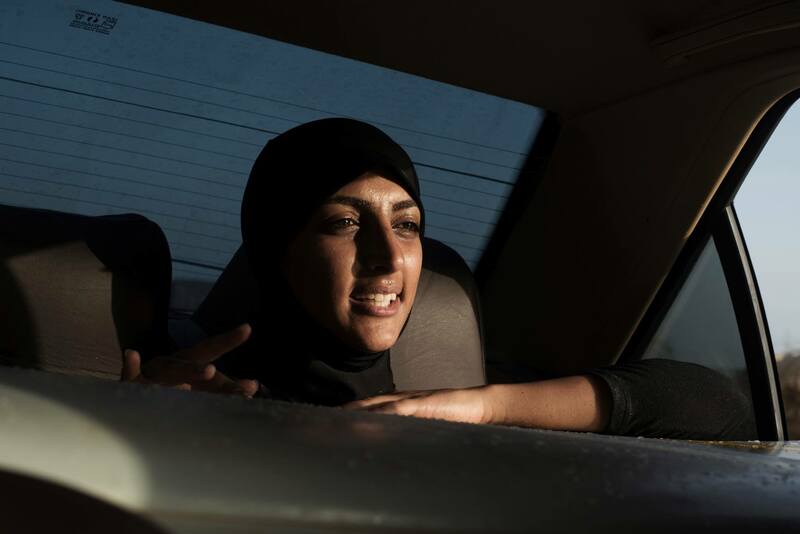 She has been taking courses in Chabahar to become a diving-guide for several years and she works as a lifeguard and a swimming instructor in Tehran. In 2013 she took part in the film INTO THE SEA by Marion Poizeau alongside the snowboarder Mona Seraji and Easkey herself. 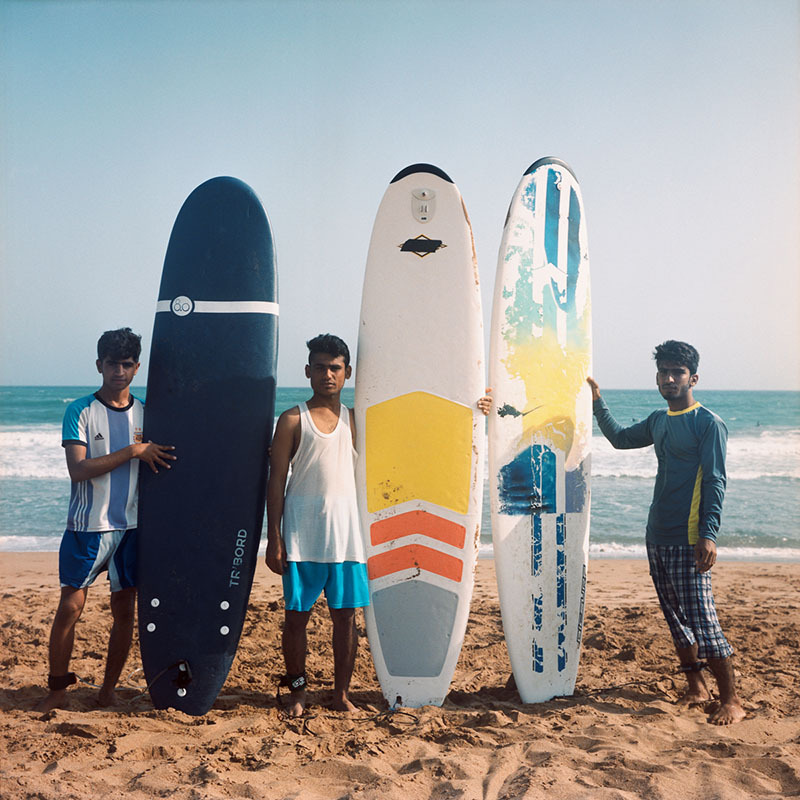 The documentary tells of the story of the arrival of the sport in Ramin thanks to Easkey’s enterprising spirit, who taught the two Iranian athletes the fundamentals of surfing and ended up capturing the local interest and turning it into a real trend. Shahla has been practicing for some years now and she plans to go and live in New Zealand, where she’ll be able to surf every day. Why is right to talk about “revolution” when talking about Yasini’s work in Ramin? I believe it’s a principle of revolution in many ways. First and foremost it is a revolution of Iran’s geographical and social imaginary. 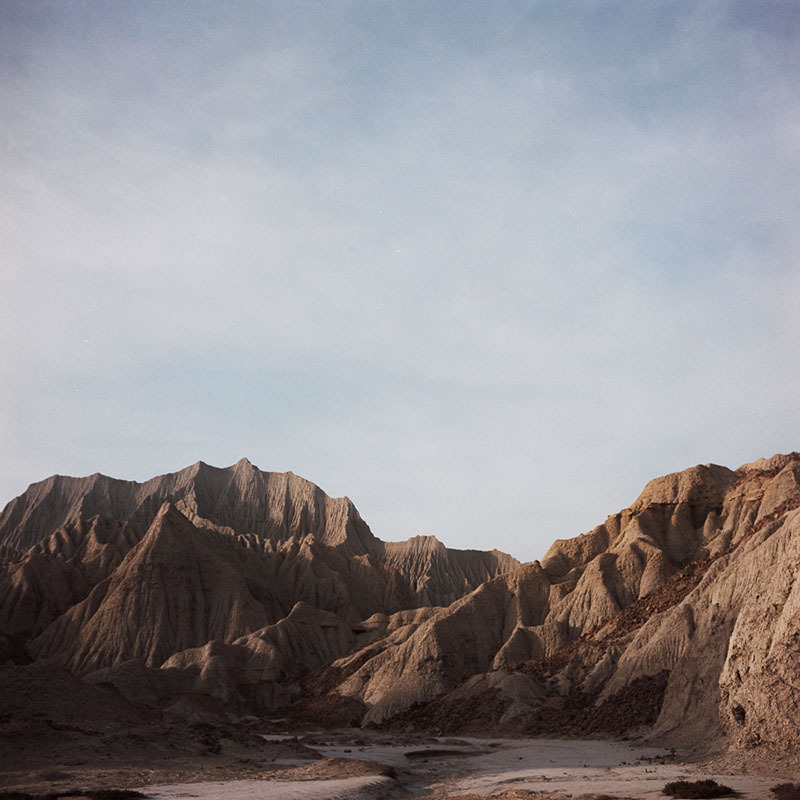 Iran is a mountainous country, sparsely populated, if I have to be honest, when talking about this project most people didn’t even know that Iran had a coast. 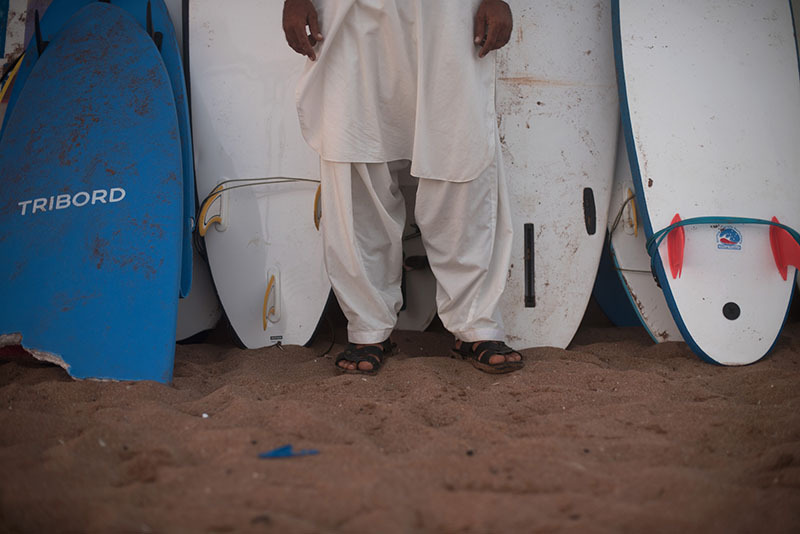 So I think that to see a surfers’ movement develop in the Gulf of Oman—almost on the border with Pakistan—is first of all a revolution in the way of thinking about this country and its young generations, a revolution of the image of Iran, in fact. Secondly it is a gender revolution, since the sport was introduced by three women! 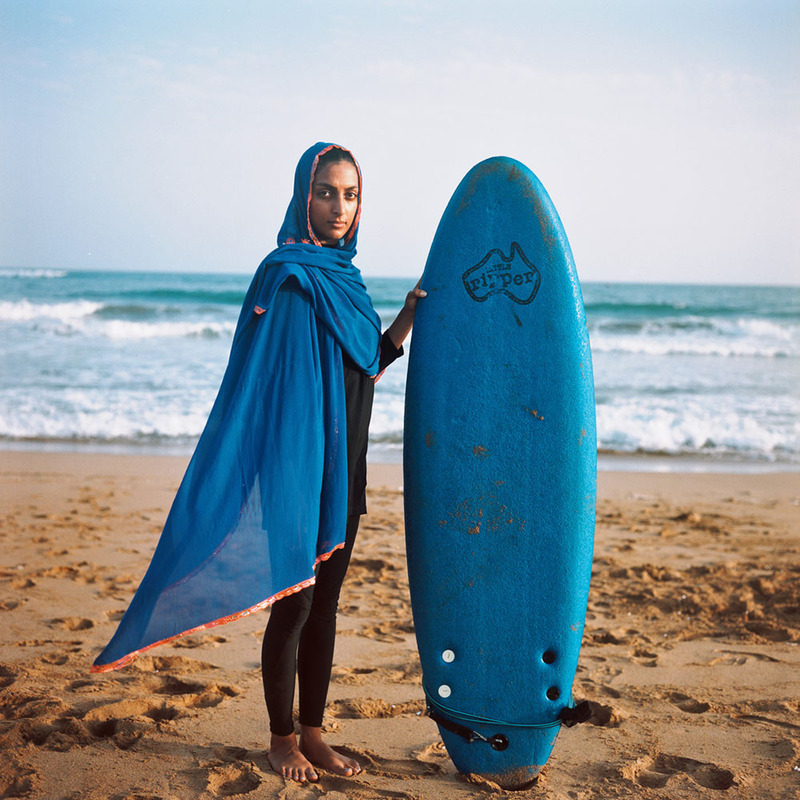 Even though there aren’t many women surfers yet (especially locally), in Ramin three women were the pioneers and they are a role model for all the guys who surf in Iran nowadays. How has the village of Ramin welcomed this sport and cultural movement? Do you think it’s the same in other areas of Balochistan? Unfortunately this is the only area of ​​Balochistan washed by the sea and apart from the bay of Ramin—which is well protected—the rest of the coast seems quite dangerous because of the rocks and the very strong currents. 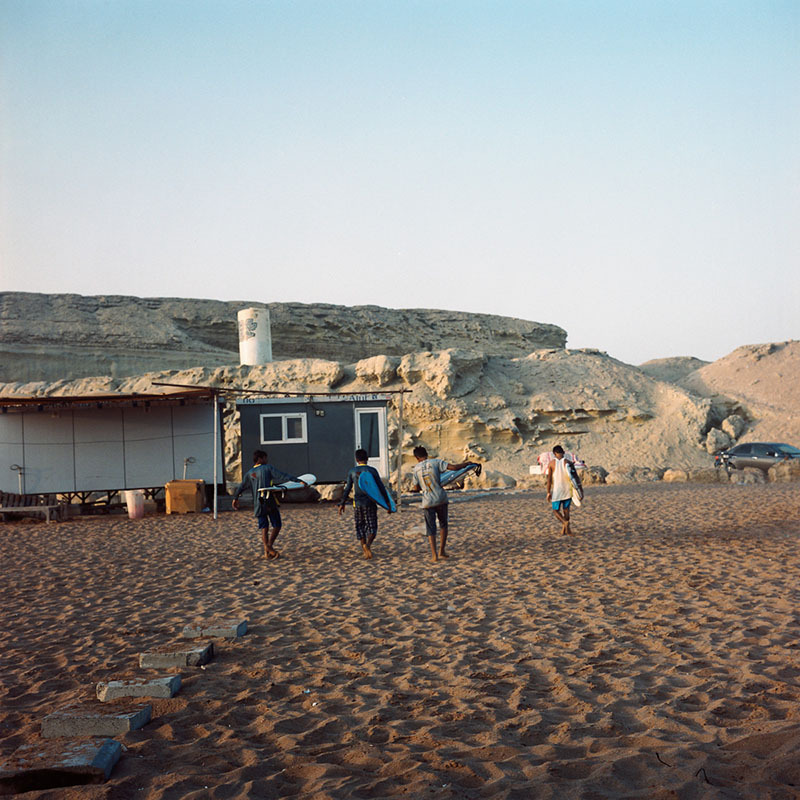 However, I recently saw on Instagram that some guys tried to surf in the Caspian Sea in northern Iran this summer. 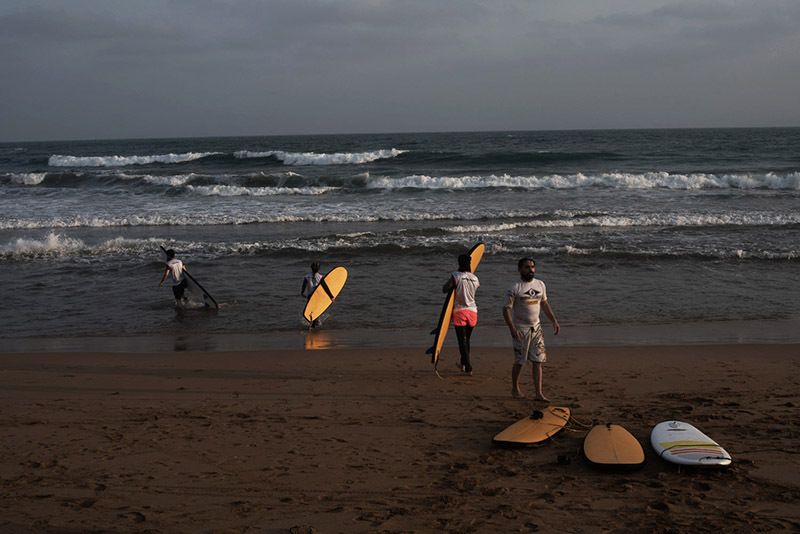 Young people in Ramin have been thrilled by the arrival of this sport, they immediately wanted to learn and they are all very busy making Ramin a meeting place for other surfers and a place where everyone can learn. In fact, for the past two years a lot of young people from Tehran have taken part in organising workshops and inviting surfers from abroad. 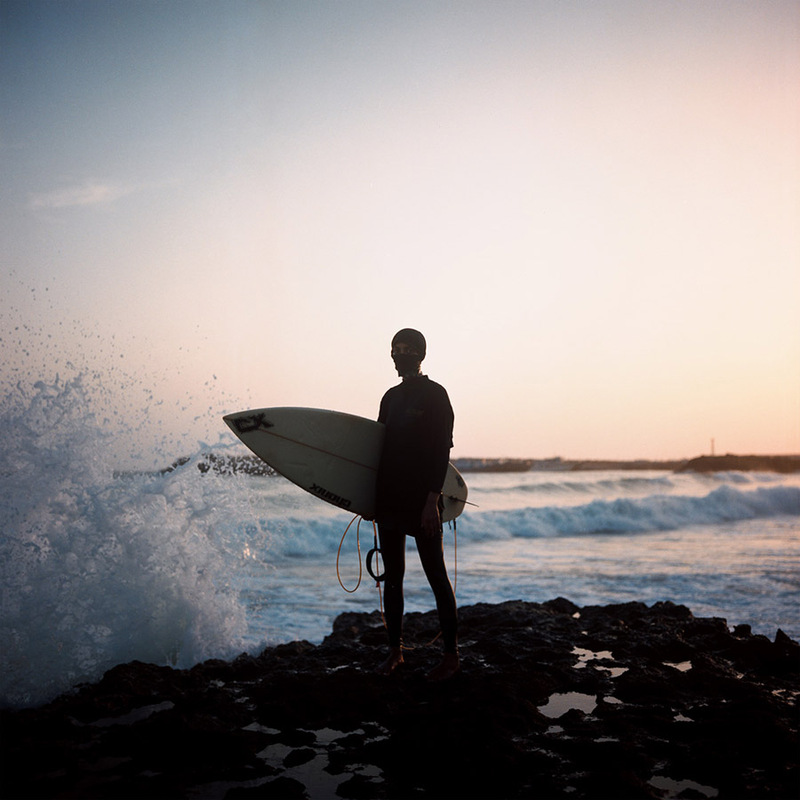 You spent weeks in Ramin, alongside Yasini, her fellow surfing mates and the rest of the village. What did you learn from this experience? Ramin and this second trip to Iran confirmed what I already thought. Iran is a fantastic place and—albeit socially and politically complex (and sometimes frustrating)—it is immensely friendly and hospitable, it is populated by people who love life and go extra mile to show it. Shahla got me involved straight away, she made me feel welcome despite the very strong language barriers. 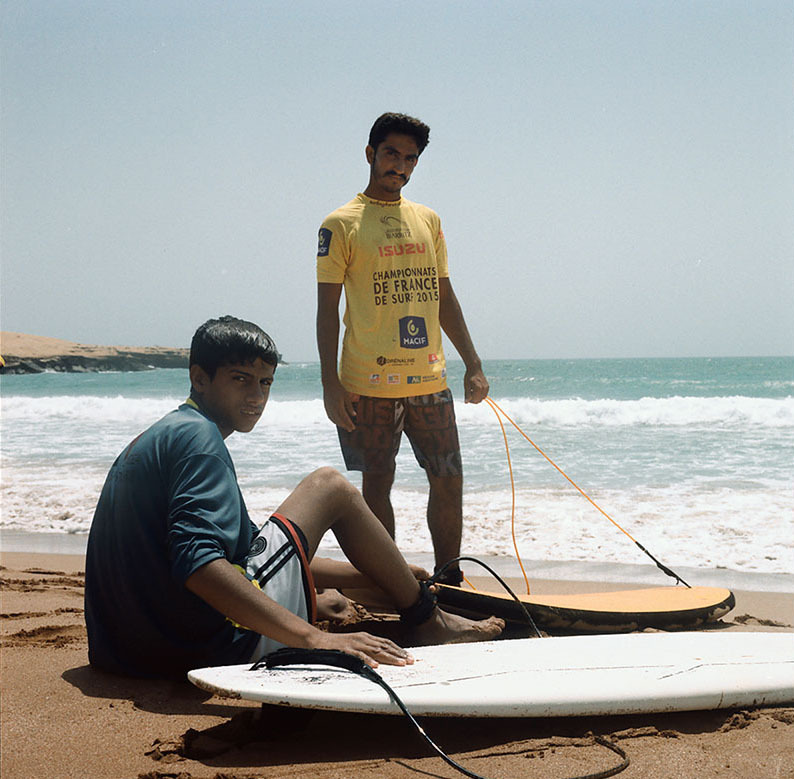 Ramin’s boys were happy to participate in the project, to recount and show me how the surf had changed their lives. You travelled to Iran in 2014 and you went back in 2017. What differences did you find? In what ways were these trips different? The were different because I visited different places. 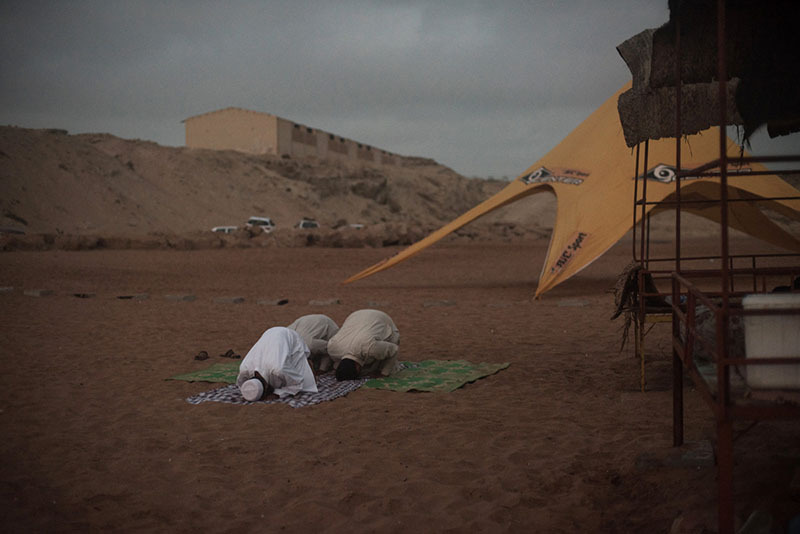 This time I discovered a new part of Iran which I didn’t know and that is unknown even to many Iranians who speak of it as a dangerous place because of the trafficking from Pakistan and Afghanistan. The population of Balochistan—the Baloch—belongs to an ethnic minority with its own language, culture, clothing style and lifestyle. It is a minority that extends between Afghanistan, Pakistan and Iran, and it is culturally closer to countries like India and Pakistan, rather than the capital itself. The impact was much stronger, compared to getting to Tehran, where there are boys and girls hanging out on the streets, at the university, in the parks, in cafes.